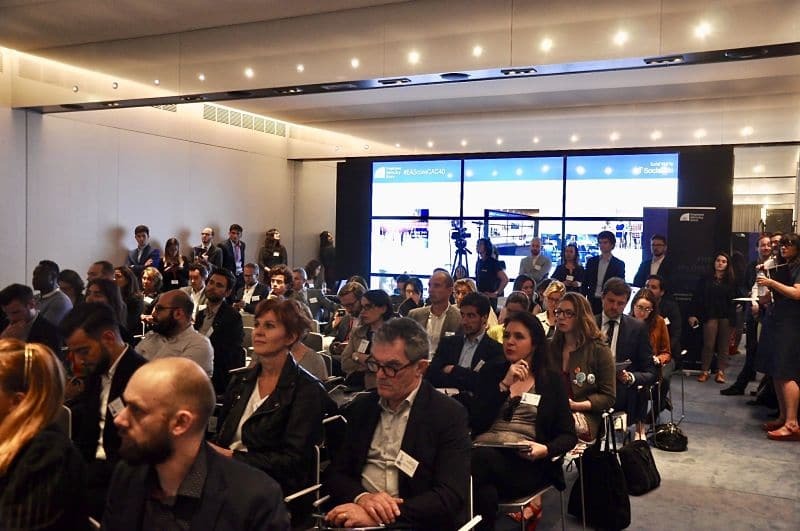 On Tuesday, May 16, Sociabble hosted an evening dedicated to the Employee Advocacy (EA) Score ranking for companies listed on the French CAC 40 index. 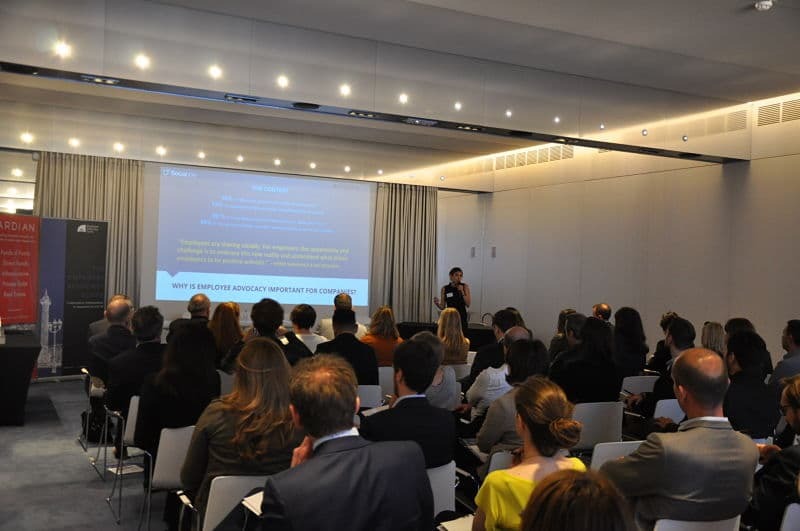 Organized in collaboration with Brainsonic, the event took place at Ardian headquarters, Place Vendome, Paris. 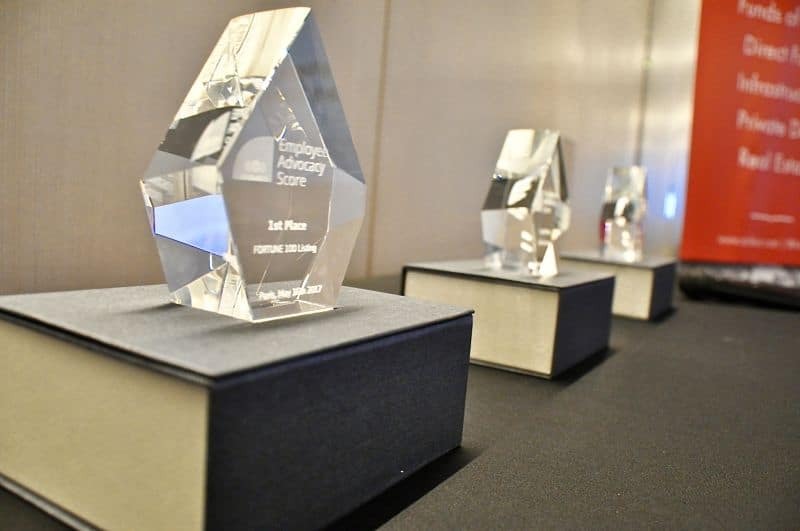 As the leader, and runner-up of the EA Score CAC 40 listing respectively, Orange and Société Générale received dedicated awards at the event. Additionally, Microsoft, which tops the EA Score table for Fortune 100 companies, also received a dedicated award. The #EAScoreCAC40 event began with introductory presentations by Laurent Foata, Head of Ardian Croissance, and Jean-Louis Bénard, Sociabble CEO. This was then followed by a short presentation of the EA Score by Marylin Montoya, Director of Marketing and Partnerships at Sociabble. 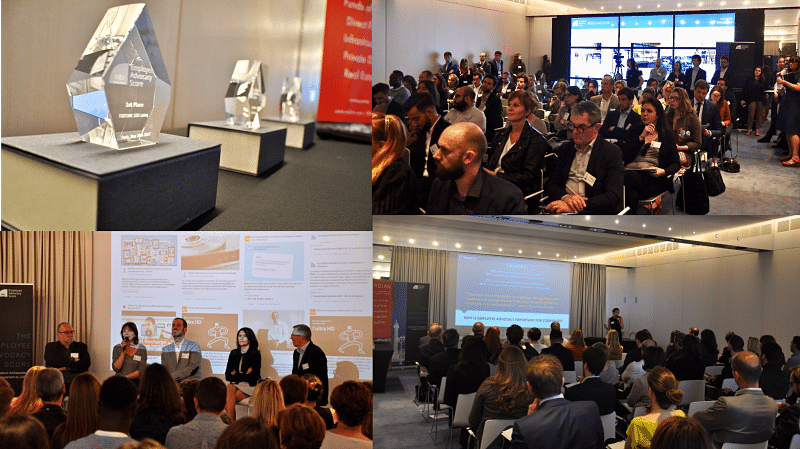 Then, Renaud Marcadet, Director of Sociabble France, led a panel discussion with Laurence Lafont Galligo of Microsoft France, Anne Imbert and Stéphan Jost Neveu of Orange, and Jean-Paul Chapon of Société Générale. Orange topped the EA Score CAC 40 listing and Société Générale secured second place. The two companies also discussed their respective employee advocacy deployment strategies. They also offered valuable advice on how other companies can successfully launch their own program. The evening was open to companies that are pioneering digital transformation initiatives, as well as those interested in employee advocacy. Orange and Société Générale received trophies during the event, recognizing their employee advocacy achievements and digital sphere leadership. Microsoft also received a special award, as they topped the EA Score ranking for Fortune 100 companies. The Employee Advocacy (EA) Score is a unique ranking that allows companies to identify the relationship between internal employee engagement and external brand visibility. 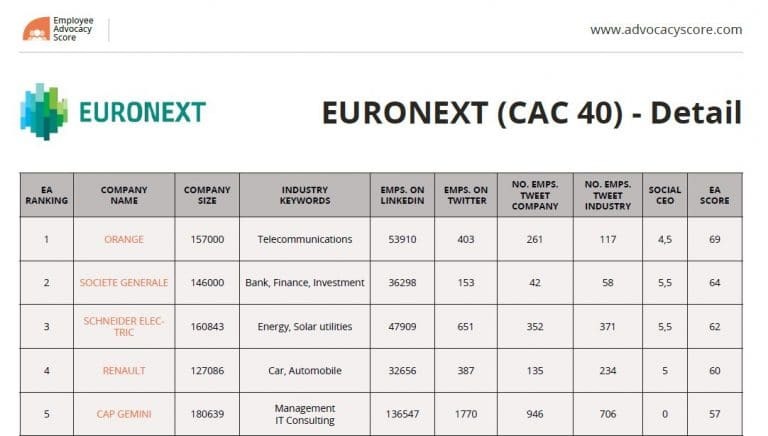 EA Scores are important for the top 100 Fortune and FTSE companies, as well as those listed on the CAC 40 index. Created by Sociabble, the EA Score uses a combination of employee metrics and social listening to determine a score between 0 and 100. Therefore, the higher a company’s employee engagement and advocacy level, the higher their EA Score. Data taken into consideration includes employees’ activity on Twitter and LinkedIn, and their level of engagement with their company on those networks in the form of mentions and identified industry keywords. Find out more about the methodology behind the EA Score.